We await Theresa May’s next Brexit moves today with limited hope and no real confidence. Already, the average Irish schoolkid could have told the UK authorities yesterday that any talk of a “unilateral deal” with Dublin to overcome the backstop problems was simply a non-starter. The reports of this in one British Sunday newspaper yesterday again remind us not just how little the UK’s political elite knows about how the EU works – but how little that elite has learned in the past two-and-a-half years. But we still look for what glimmers of hope we can as the clock ticks down to that March 29 deadline. One such glimmer of hope came in an internal expert report for the European Parliament. It told us that the parliament’s elections in late May need not prove an obstacle to giving a workable extension to that March 29 deadline. It is increasingly accepted in London, Brussels and across the EU that an extension will have to be sought because the UK does not have enough time to ratify the Withdrawal Agreement and pass necessary Brexit legislation. Theresa May has clung to her insistence that no extension will be sought. 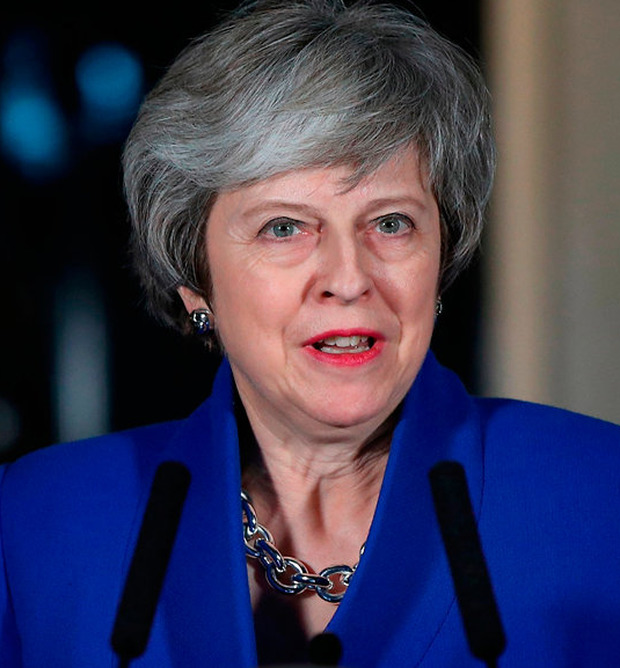 Another U-turn on this issue, which she could put alongside a hatful of other U-turns, would enrage her more radical Brexiteers who fear delay is a prelude to abandoning Brexit altogether. But UK business and union leaders are loudly calling for a delay and the idea has already been conceded in principle by the UK finance minister, Philip Hammond. The legal advisers’ report addresses a vital question which had arisen: would the European Parliament be properly constituted if it does not have UK MEPs, when it comes together for the first time on July 2 next, after the elections in the final week of May? There had been a view from some experts that if the UK did not leave by the end of May, it would still have to hold European Parliament elections, even though the country was still programmed to exit the EU. But the experts believe the UK does not have to hold those elections – which will happen in every other member state, including Ireland. The experts also said that the elections should go ahead with the same seat allocation as at present. In practice that means the Republic of Ireland will not get the two extra seats which it was set to get from the reallocation of some of the UK’s parliament seats. There are plenty of EU lawyers and diplomats who take a very different view. They believe that if the UK does not hold elections in May, the new European Parliament, which has important powers to shape and veto EU laws and must also ratify the Brexit arrangements, will not be properly constituted. So, we will hear more about this one before it is finally resolved. But this legal advice is likely to find favour with many key EU decision-makers. The history of these arcane technical problems which arise from time to time is that where there is a political will to resolve them, a legal device can be found to implement that political will. So, we can guess that the immediate threat of a hard Brexit crash-out by default can be delayed beyond March 29 at least. For the rest, what happens next is anybody’s guess. Much now depends on what British Labour does in the coming weeks. As things stand, Labour Party leader Jeremy Corbyn continues to talk about the need for a general election, which remains an unlikely outcome for now at least. Mr Corbyn is sticking to his insistence on not talking to Prime Minister Theresa May until she effectively rules out a no-deal Brexit. The Labour leader remains opposed to holding a second referendum, which many leading members of his party actually favour. In fact, both Mrs May and the Labour leader are in a curious symbiotic relationship right now. Each is effectively propping up the other with their mutual intransigence. That could change. The Labour Party’s number two, and shadow finance minister, John McDonnell, writing in the ‘Financial Times’ newspaper on Saturday, was notably positive about the prospect of a second referendum. “If parliament reaches an impasse, our party members have decided that we should seek a general election but, failing that, we should retain the option of seeking a public vote,” the Labour man wrote. Mr McDonnell also stressed the need for the UK to keep membership of an EU customs union and “a close and collaborative relationship with the single market”. That would be as good a Brexit as Ireland could hope for and make the whole row about the Border backstop redundant. But we are some distance from that thinking becoming a political reality. One advanced theory is that things must be taken out of the hands of both party leaders if the deadlock is to be broken. Europe still has a few cards to play to help this process along. But it needs to see some signs of progress in London before these cards are played. The European Parliament’s key person on Brexit, former Belgian prime minister Guy Verhofstadt, who has been a key ally of Ireland throughout this process, said British politicians will find an open door in Brussels. “This will only happen if the political parties in the UK start to work together,” Mr Verhofstadt said. Cross-party collaboration is the norm on mainland Europe where shifting coalition governments are the order of the day. He noted that it was anathema to British politicians who work a very adversarial system which now must change. “It’s time to change course and to put the national interest ahead of the narrow party political interests,” Mr Verhofstadt said. Ireland has happily seen more cross-party collaboration on this issue among the main parties. But that could be set to change in the coming weeks as the Opposition becomes more searching about the extent of Brexit preparations, especially those for a no-deal in extremis. Fianna Fáil leader Micheál Martin upped things a gear last week and we will see more probing questions on issues like preparations at ports and airports in the coming weeks. The Government is dangerously over- reliant on insisting a no-deal Brexit will not happen. That risk still remains, along with some recriminations beginning to creep in about Ireland driving too hard on the backstop. Such recriminations are rather pointless and smack of some revisionism and after-the-event type thinking. Irish Government leaders cannot expect to resolve all the fissures in what for now is a very messed-up political system in Britain. Potential remedies still lie with London on this one.